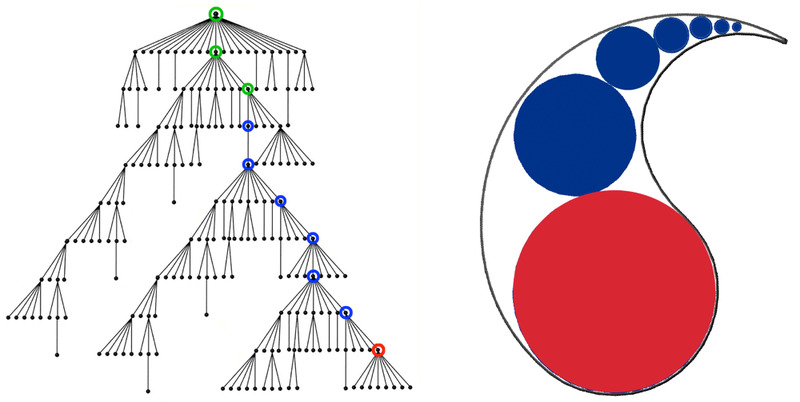 Visualizations of hierarchical data usually focus on conveying structure. However, with really large hierarchies, layouts tend to become overcrowded, making it difficult to see details about specific nodes. 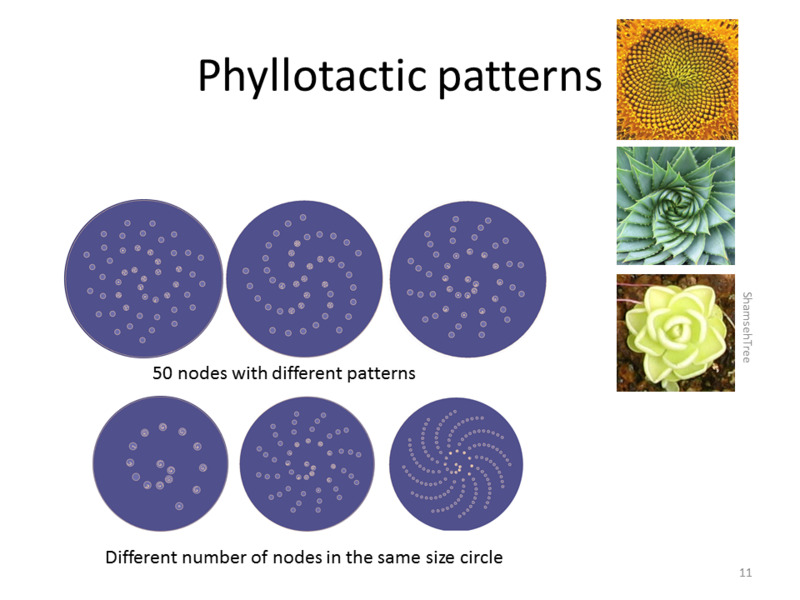 In contrast, ShamsehTrees focus on layouts centered on a node of interest, provide interactive nested layouts that were inspired by artistic and natural floral patterns, and make use of the natural symmetries in phyllotactic patterns. Instead of emphasizing overall tree structure, these layouts are created to make the most space available for the node of interest. 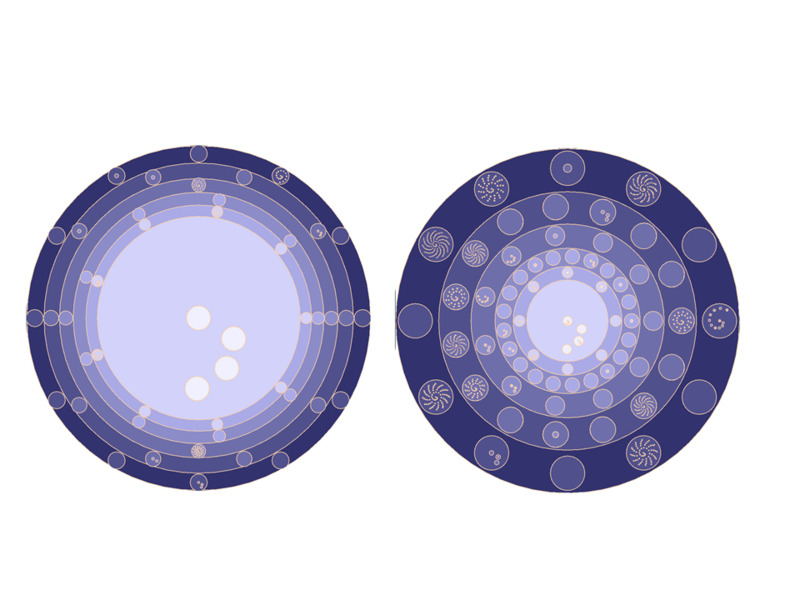 The basic layout is comprised of nested circles that are centered on the node of interest. After selecting a new node of interest, the resizing and repositioning of nodes is animated as they transition to the new layout. Katayoon Etemad and Sheelagh Carpendale. 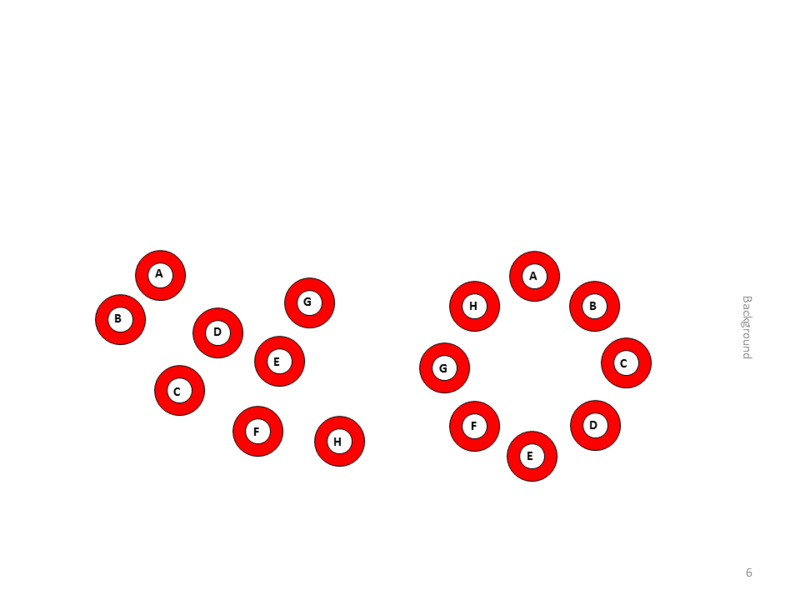 ShamsehTrees: Providing Hierarchical Context for Nodes ofInterest. In Proceedings of Bridges 2009: Mathematics, Music, Art, Architecture, Culture. (Craig S. Kaplan and Reza Sarhangi, Ed.) Tarquin Books, pages 293-300, 2009. In this paper, we take a different approach to visualizing very large trees. 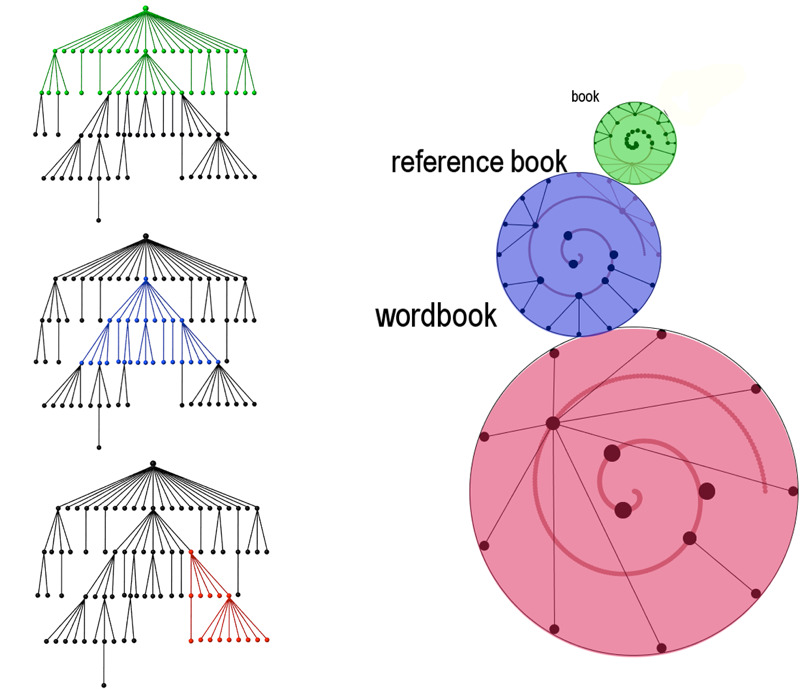 To facilitate presentation and exploration of massive hierarchical datasets such as linguistic and genealogical hierarchies, our approach considers drawing layouts of tree-cuts as a function of a node-of-interest or NOI, and uses interaction to support rapid access to the entire tree. 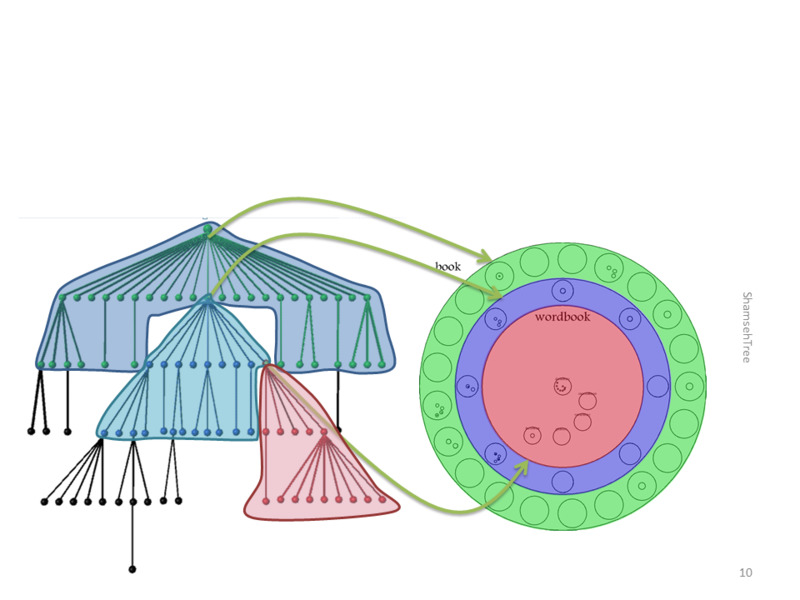 Instead of emphasizing overall tree structure, our layout is designed to make the most space available for the node-of-interest and its immediate ancestors and descendants. Inspired from Persian floral patterns, we describe the development of ShamsehTree and PaisleyTree, showing how the use of symmetry can provide new structures for tree layouts. Katayoon Etemad and Sheelagh Carpendale. Symmetry and Node Focused Visualization of Large Trees. In GRAND NCE Annual conference, 2010.